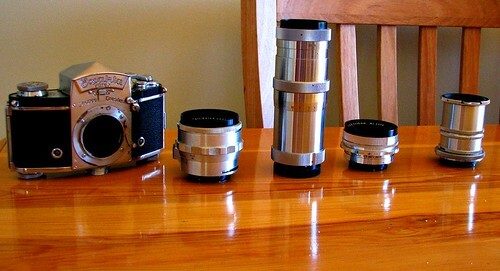 Approximately 10 years ago my father was given an old (1950’s I believe) professional quality film SLR, buy his uncle. We used it on a trip to Bathurst in 1997 and it took some amazing quality shots, for a man and his son, not knowing anything about photography, and also being unsure of the physical condition of the camera itself. Since taking up photography as a more serious hobby recently, I have begun a process of teaching mself the finer points of using this piece of photographic history, and also shooting with film. somthing i probably haven’t done for 10 years. 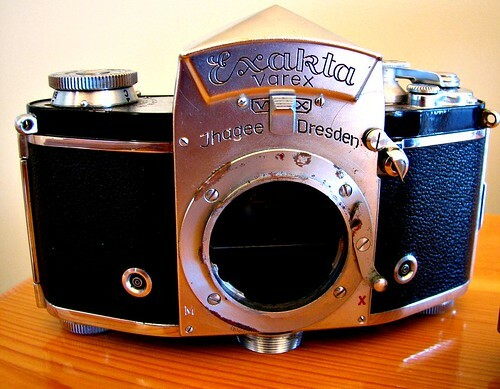 The camera itself is an Exakta Varex VX (unsure of what series) built in East Germany, post WWII. as well as Macro extension tubes, light meter, and different (interchangable) prism eyepiece. Over the next few months, I hope to get my hands on some decent quality film and see what I can do with it. But for now I’m just running off a few random shots on cheap film to get a feel for the settings and the machine itself. I’ll keep you posted with the results when I have some that are worth sharing.